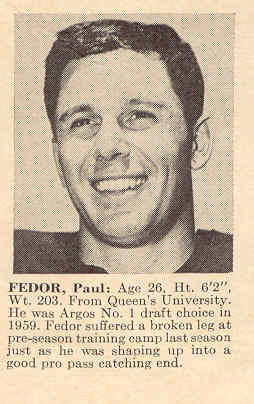 Fedor played his college football at Queen's and was a conference All-Star in 1957. Fedor played on both sides of the ball, a Tight End on offense and a defensive end. Fedor was a first round draft pick of the Toronto Argonauts in 1958, went on to play three seasons for the Argonauts (1958-60). In 1961, Fedor was traded to Montreal along with Boblby Jack Oliver and Ron Brewer in exchange for Billy Shipp and Doug McNichol. 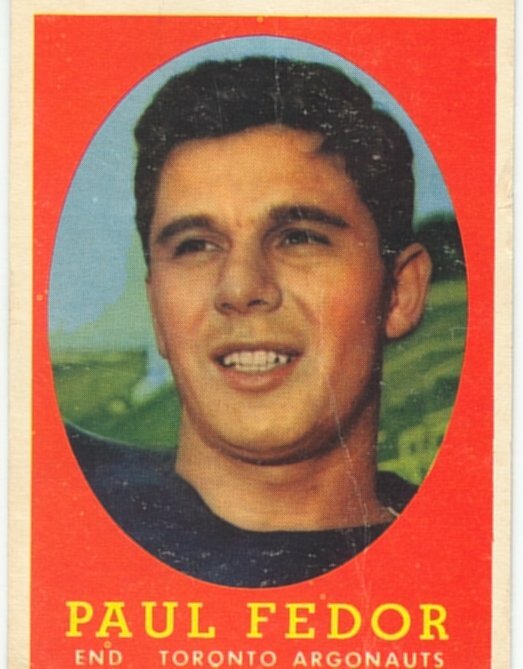 Fedor would play two seasons with the Alouettes (1960-61).